The must-read summary of Evan Schwartz's book: "Webonomics: Nine Essential Principles for Growing Your Business on the World Wide Web".This complete summary of the ideas from Evan Schwartz's book "Webonomics" presents a strategy for delivering business principles and strategies for successful internet-based commerce. 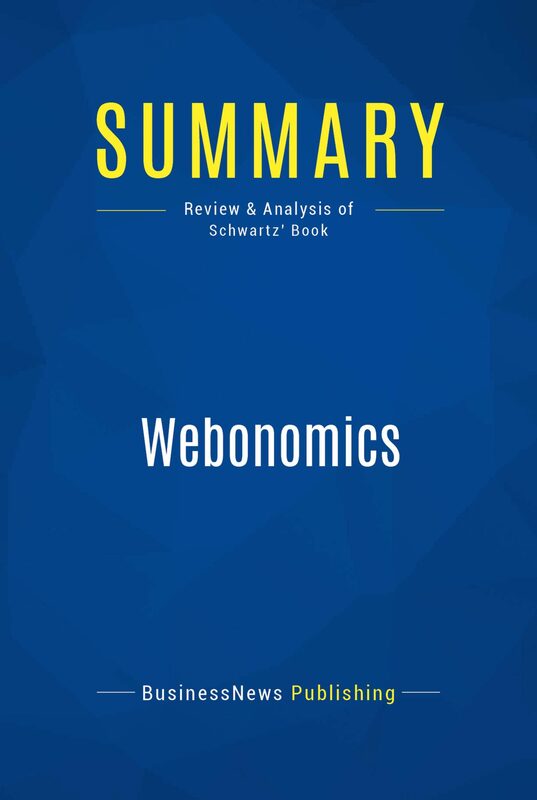 In his book, the author explains the nine principles of Webonomics which have been derived from the study of successful internet business models and explain why some succeed while others don't. This summary provides readers with a road map for achieving and sustaining commercial success on the internet.Added-value of this summary:• Save time• Understand key concepts• Expand your business knowledgeTo learn more, read "Webonomics" and discover the key to achieving success in the crowded internet marketplace.